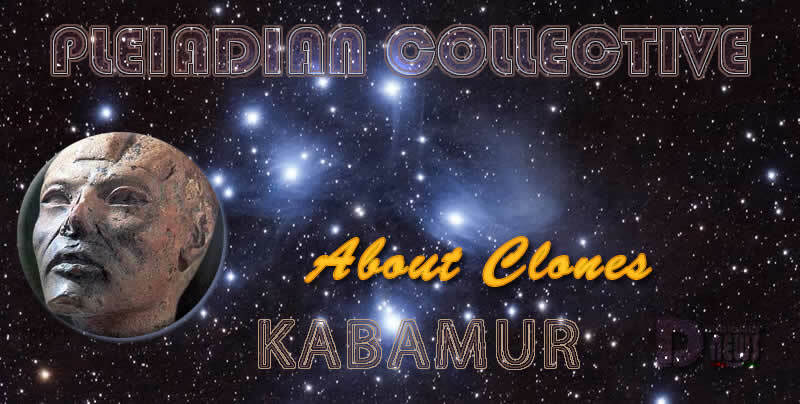 About Clones – Pleiadian Collective. By Kabamur Taygeta. This will be a long thread. I’ve never prefaced information received with a warning, but this thread might be difficult for some to wrap their head around. I can only say I trust it, and it’s up to you to decide for yourself. Earth’s total population is 7.7 billion. According to Pleiadians, approximately 1/3 of the Earth’s current population are people who were artificially created in a cloning facility. Meaning there are about 2.5 billion people walking around who literally have no Soul. NPCs. Clones are made in Italy, China, Antarctica and many underground bases like Dulce. Different cloning happens in different facilities. The facilities are legal by scientific explanations, and separate from other facilities. Perhaps R&D connected to bases like this one. Top scientists are at the facilities permanently. The technology is far beyond what is known yet. Memories are downloaded and mannerisms are obtained from the original person. Analysis is done to perfect voice and eye movements. Everything looks and sounds real. These clones are placed worldwide, with false ID’s and set up w/ house/apt and everything needed to appear ‘real’. They can be inserted into society at any age. Clones age but can’t have children. They are essential programs, waiting to be activated and controlled. People are skeptical of a Cabal / Deep State / Illuminati existing because there are just not enough people for all their schemes. Think again. Hundreds if not thousands helped to cover up 9/11 alone. I do not think they are self-aware enough to see they are not real. There are many innocents involved in all of this, which is why the facilities and bases connected to cloning will not be destroyed yet. Some who work there know what’s going on and know they would be killed if they talked. There are close to 2000 perfected clones used in Government and Media/Entertainment. Including many a-list celebrities and world leaders. POTUS and many others know about the clones. Many still do not. There is nothing he can do but be killed along with his family if he tried to expose this. POTUS is very aware and willing to die, but does not want for this for his family. Not only that, but most people could not mentally handle this disclosure from mainstream sources. 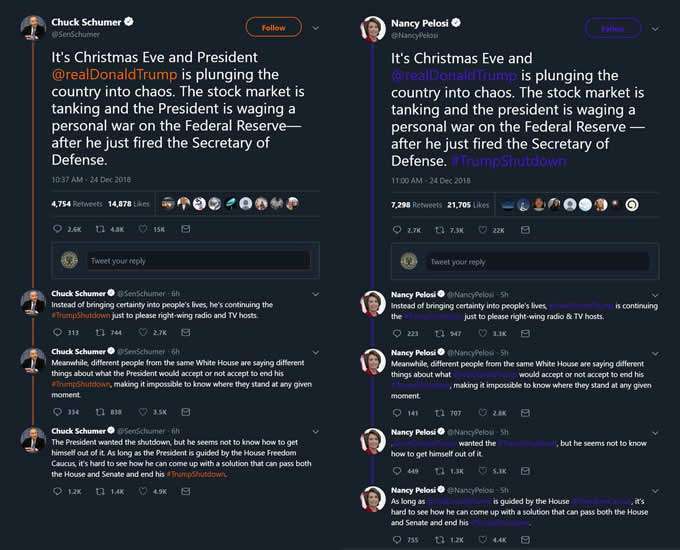 Many clones behave erratically over time, such as with Hillary, Nancy or Maxine. Many thought it was Kuru. They require handlers and must be supervised at all times. They do not have souls, yet still participate in satanic rituals and serve darkness in every way. 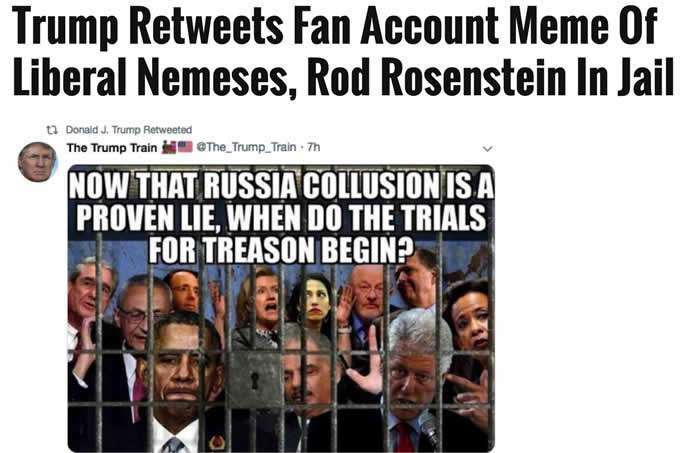 The reason that POTUS retweeted this… is because it has already taken place. For some pictured, arrests have already happened and they are sitting in GITMO. Obamas, Podestas, John Brennan, George Soros, and more. How is this possible? You are seeing a false story play out via Media using clones. Trump can only do so much to fight the Media. It goes too deep. He cannot overcome the false reality all by himself. That’s why he needs our support. Despite what has been said, some deals HAVE been made. [No Name] spared his family the shame of Treason. Some lose only careers. Some lose freedom. Some will lose their life. But now, even with Soros technically out of the way, there are just as many as evil that are still carrying his plans forward. One is removed, another takes their place. We may be dealing with their minions for a while longer. Unsealing the indictments will help. All the clones showed up at George W. Bush’s funeral. Q and POTUS are playing along with the false narratives to avoid a war. Even with constant impeachment talk, President Trump is not worried at all. He knows about the Shift. He knows everything. 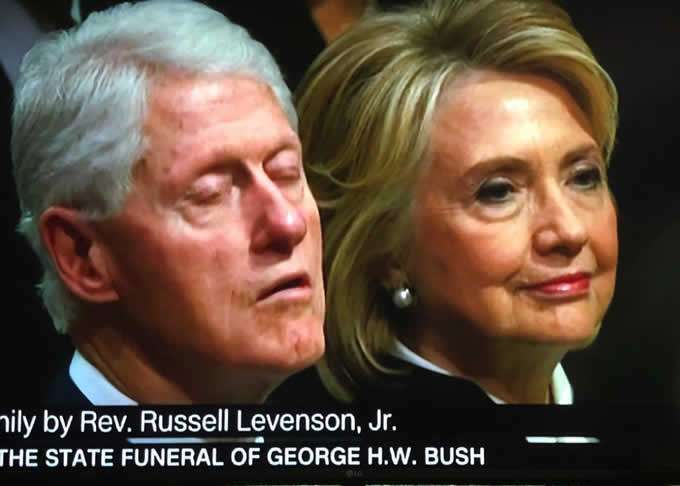 As stated before, the real Clintons are deceased and cloned. 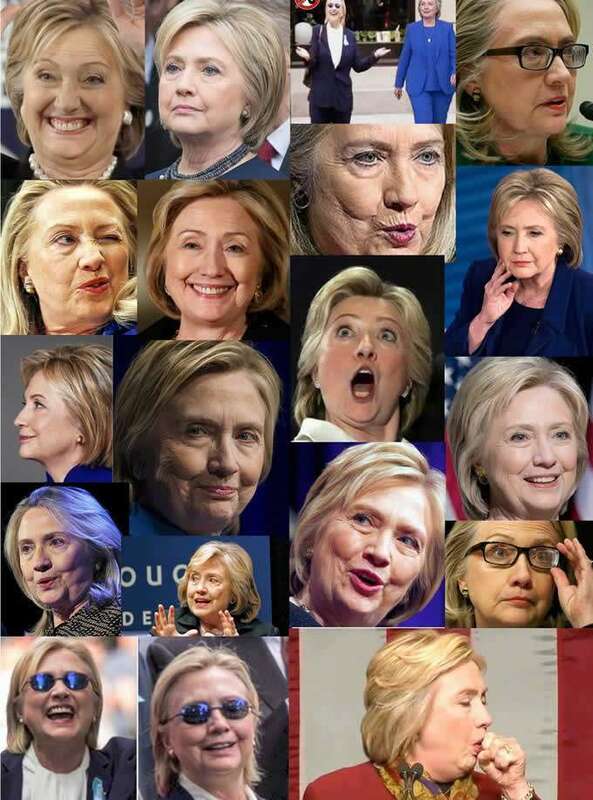 Many clones of Hillary have been seen since she died on 9/10/16. Bill died in 2014. There’s a leaked chat from the 2016 campaign w/ David Brock discussing the clone switch. 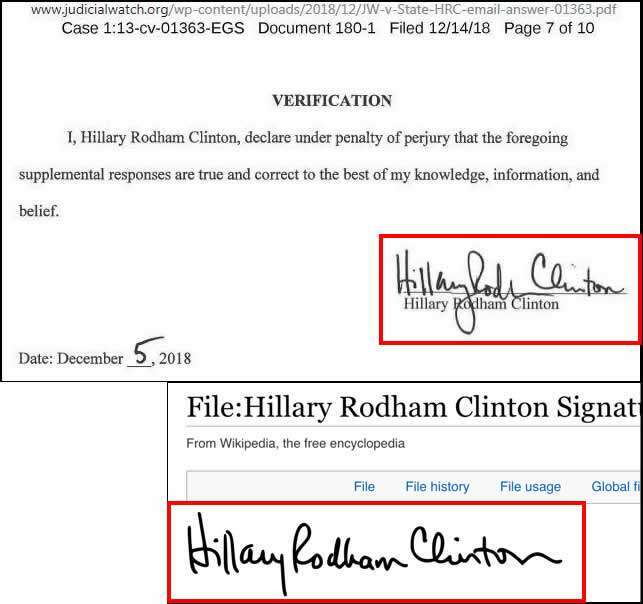 Hillary was very sick. They had backups on standby. 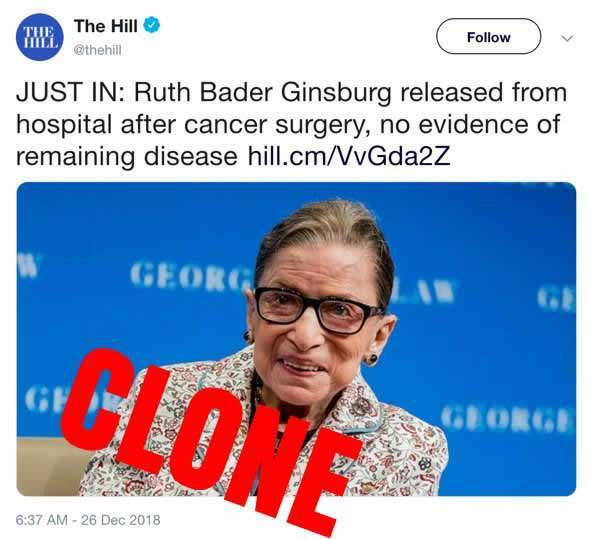 A living or deceased person may be cloned. The show must go on. Many of their twitter accounts are now run by others, either NSA or CIA. Unusual activity (or non-activity) is a sign of what is happening behind the scenes. This is not a fluke. Expect more oddities. Chuck and Nancy are already gone. Watch the erratic behavior of anyone Trump has given a nickname. He knows everything. As a sign of the times, the “most admired woman” in the world is a cloned man. Notice how youthful she appears lately? Creepy Joe Biden is still alive and free (for now) and there are already many clones of him. He may be taken out soon and you will know by whether he runs for President. If he does, there will be white hats using him without his knowledge. True for whoever Democrats run. Among the many clones in Hollywood, some I’ve mentioned are Angelina Jolie, Johnny Depp, who are both dead. Many big pop stars. Rappers. Whistleblowers like Ben Swann and Eric Braverman were killed and replaced. We Are The Pleiadian Collective! There are only two days in the year that nothing can be done. One is called Yesterday and the other is called Tomorrow. Today is the right day to Love, Believe, Do and mostly Live. This entry was posted in Uncategorized and tagged Disclosure News Italia, Jan. 3, love. Bookmark the permalink.